Looking for capacity among Northeast trucking companies? Expedited Freight. 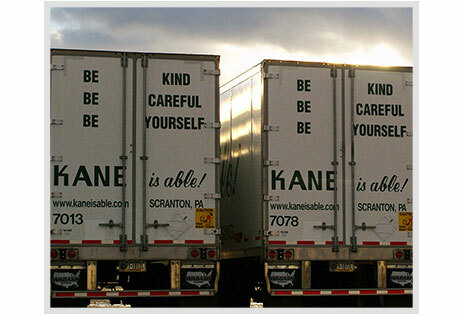 KANE’s main terminal is strategically located in Scranton, PA － within 3 hours of New York City, Connecticut, New Jersey, Delaware, and Maryland. This allows us to offer very efficient expedited delivery to Northeast and Mid-Atlantic states. Rail Service. KANE services rail yards located in Taylor/Scranton, PA, Bethlehem, PA, and Harrisburg, PA. In Scranton, our campus has rail-sided facilities and is less than two miles from the Norfolk Southern-operated intermodal terminal in Taylor, PA.
Pier Service. KANE services the NY/NJ piers and offers a cross-docking service strategically located near the pier which allows us to trans load product onto van trailers to save on chassis rental charges and avoid demurrage. 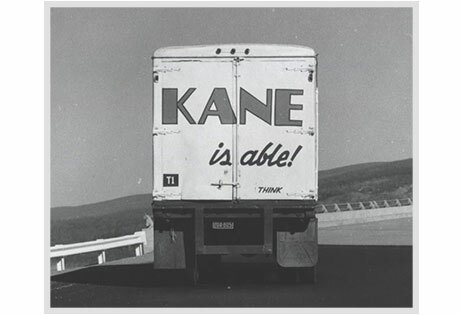 We have unique handling requirements and prefer working with 3PLs, like KANE, that have an in-house transportation company and can deliver right from the warehouse to the customer. Safety. KANE is actively engaged in programs designed to keep our associates and fellow motorists safe. Our RIR, CSA Scores, and Accident per Million Miles record is among the very best in the industry. Dependability. KANE’s fleet moved more than 57,000 loads in 2016 and delivered a true 99.3% on-time delivery performance. 24/7 dispatch access. We’re here when you need us. Real time tracking. All trucks are eLog capabile and GPS equipped for real time pickup and delivery status. Experienced driver corps. Average tenure of 20 years. You won’t find the same depth of experience behind the wheel at other Northeast trucking companies. Need more reasons to make the switch to KANE? Check out these 7 strategies to reducing freight costs now. Contract steady lane volume. If your Northeast freight carrier knows he is going to work with you every day, and is going to get a regular flow of freight in the same lane, he can market those backhauls and build out his network. As a result, you’ll pay less because the carrier is more efficient. POTENTIAL SAVINGS: 2-12% versus traditional lane pricing. Ship on off-peak days. Shipping a day later or earlier can yield measurable savings. Friday is typically an off-peak day for shipping consumer goods because most customers try to get their product to store by Thursday, so it can be shelved Friday and ready for sale at the weekend. POTENTIAL SAVINGS: 10% versus peak ship days. Don’t be a serial rate shopper; develop relationships. You may feel obliged to do the yearly RFP dance in order to show management you’re serious about reducing freight costs, but severing the relationship and starting fresh with new Northeast trucking companies every year is not the best approach. Longer term contracts give the carrier time to mine for other customers in the area to minimize deadhead miles. Provide more advance notice to carriers. Any time you can introduce planning into the supply chain, and maximize the advance notice to the carrier about future loads, they are able to maximize assets, including trucks, drivers and warehousing space. An advance shipping notice allows a carrier to line up the assets and resources, plain and simple. The longer the notice, the more carriers can do behind the scenes to be more efficient and come to you with a better price. Offer night pick-ups. This may give carriers an opportunity to make your load into a backhaul by offering them pick-up times after most other shippers have closed the dock – 6-12 p.m. For example, a carrier might turn down a load that’s requested for a mid-afternoon pick-up because it conflicts with another run. But a later pick-up allows him to make the delivery and fill his backhaul with your freight. Minimize the number of pallet spaces needed when shipping LTL. Maximizing the cube of a product, stacking the product so you take fewer pallet spots, even boxing it differently, all help make it easier to get more cargo packed onto a pallet and into a trailer. For instance, if you put a small component in a large box, you can’t get that many on a pallet, but if you have them in small boxes, you can load the pallet out and save pallet spaces. POTENTIAL SAVINGS: up to $150 per pallet space. Look for Northeast trucking companies based near your ship-to points. That way your load is more likely to become a backhaul for them and you’ll get a lower rate. Filling empty miles is the way carriers make better money, and a great way for you to reduce Northeast trucking costs. Want 7 more tips? See our full blog on reducing freight costs.